Communication is a very important part of every business. If you don’t have great communication, then you’re going to struggle to succeed. It’s actually a lot harder to achieve great communication than you might think. Some people think it’s something that’s mainly focused towards your internal affairs and communicating with employees. While this is important, you also need to realize how crucial it is to communicate with your clients. Your clients are possible the biggest factor in whether or not you’re successful. If they’re treated well, they will continue to be clients and spend their money. Not only that, but they’ll be more likely to recommend you to other potential clients, which helps you bring in more business, and make even more money. So, treating them well is a top priority, and it all revolves around communication. Good client-business communication is essential. If you don’t communicate well, they will get very annoyed with you, which makes it less likely they’ll still be your clients after the job is done. 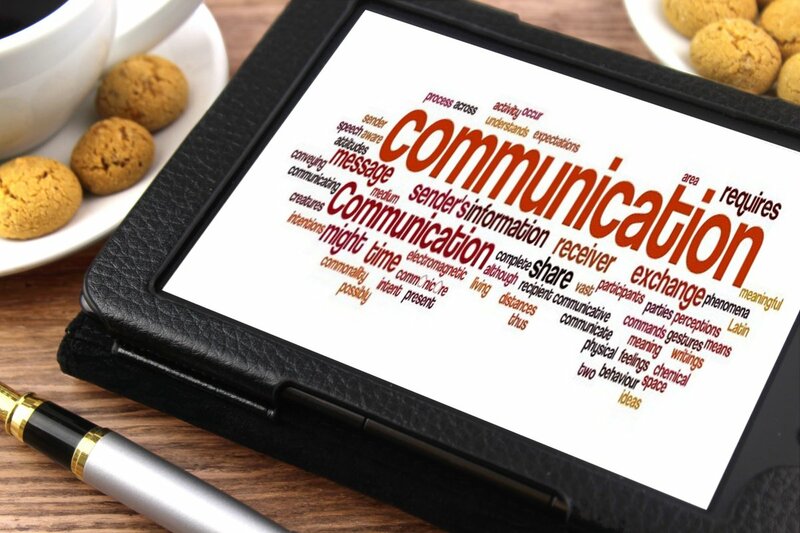 Businesses that communicate well with their clients will always be reachable. This means they will always have a way for their clients to contact them. They don’t just offer one avenue of communication and leave it at that. That’s a surefire way to irritate your clients as they may need to contact you but can’t reach you as your one method of communication is out of action. The best businesses use things like instant messaging, video calls, business collaboration software, social media, and many other methods to ensure they’re always reachable. This helps avoid disgruntled employees who call your phone in the morning saying they left numerous messages last night and no one responded. So, if your answer is yes, you’re always reachable, then you’re definitely moving in the right direction. It’s very important that you remember your relationship with your clients is strictly professional. As such, your responses to their queries need to be professional as well. This means replying to emails as professionally as can be, answering calls in a professional manner, and manning all your other communication channels in the same way. Your clients will appreciate it when they’re being spoken to professionally. Similarly, they will not be happy if you do the opposite. If you’re really unprofessional, it won’t bode well for you. It doesn’t make your business look very professional, and your clients may get annoyed thinking you don’t take them seriously. No matter how well you may get along with your clients, remember the relationship is business only. Maintain your professionality whenever you communicate. If you’ve answered yes to this, then you’re two for two so far, which means you’re very good at communicating with your clients. Do Your Clients Understand What You’re Saying? We’ve left one of the biggest questions for last; do your clients understand what you’re saying? This is a pretty self-explanatory question when you communicate with your clients, are they gaining all the information you need them to gain. More specifically, are you explain things properly? As a business, you may have extensive knowledge of things that your clients lack. So, you may mention certain things and use terms that they don’t understand. As a result, the things you say to them might be hard to understand. They may need to ask you to clarify things, and this can get annoying for them. It means they have to keep asking questions, and it also makes them feel a little bit dumb for not knowing. You must ensure that you explain things using language that your clients can understand when they hear/read it for the first time. Following on from this, you need to make sure you don’t patronize your clients either. Yes, you may need to water down some of the things you say so it makes sense to them. But, don’t make them feel stupid or explain simple things that they do understand. All you have to do is ensure they get all the information they require at the first time of asking. If you’ve answered yes to all three of these questions, then you’re a pro communicator. Your business is exceptional at communicating with clients, and others can learn from you. Anything less than this and you’re not communicating as best as can be. You need to rethink your communication ideas and make sure you’re answering yes to all three questions.